The principal behind the Farnbacher-Loles race team has been identified as the person allegedly behind a massive financial fraud involving embezzlement of funds from a Connecticut church, according to the New Haven Register. Gregory Loles was in charge of managing the Saint Barbara Greek Orthodox Church's building and endowment funds as well as some church members retirement and college funds. "...state Attorney General Richard Blumenthal said his office is reviewing facts to determine whether state laws were broken. But the U.S. Department of Justice has the lead in the investigation, he said. You can read more here. We suspect this is only the beginning. 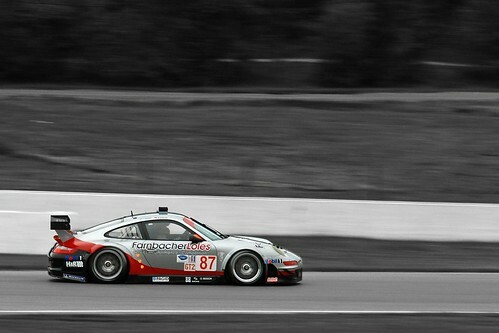 Farnbacher-Loles are officially supported by Porsche Motorsport and were the 2009 Grand-Am Rolex GT Champions as well as past class winners in the Daytona 24hrs. They are based in Danbury Connecticut. Wow. I had talked to Leh just the other day about them shutting down but he could not expand on anything. I would of never thought it was this! saw this yesterdday. both of their urls, racing and service, now resolve to a suspended account. So is the shop in CT shut down already?